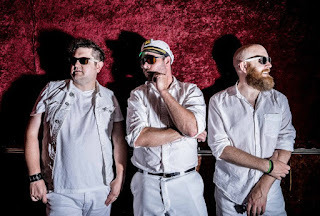 DEVIL TEETH STREAMS NEW SONG "THE JUNCTION STREET EIGHT TIGERS"
Milwaukee punks Devils Teeth are now streaming their new song "The Junction Street Eight Tigers" at The Bad Copy. The song is taken from their upcoming album Suki Yaki Hot! Listen to the song here: https://thebadcopy.com/news/stream/devils-teeth-premieres-the-junction-street-eight-tigers-off-debut-album/.